About Us, Services, Portals, Athletics (Active Pages) » About Us » What does it mean to be a Texas Public Charter School? Westlake Academy is a Texas Public Charter School. To understand Westlake Academy, you need to know about its roots. "A charter school is a type of public school. Charter schools provide education through a "charter," which is a type of contract granted by a chartering entity such as the commissioner of education, State Board of Education (SBOE), or the board of trustees of an independent school district. In 1995, Texas Education Code established a new type of public school, known as a charter school. Charter schools are subject to fewer state laws than other public schools with the idea of ensuring fiscal and academic accountability without undue regulation of instructional methods or pedagogical innovation. Like school districts, charter schools are monitored and accredited by the state. encourage different and innovative learning methods. " Having grown up in a family with limited resources, I have a great respect for education. I think it is the surest path to escaping poverty and other socially limiting conditions. I believe a first class education should be available to all, regardless of station in life. Kelly and I have always been active in promoting better education in the schools with which we have been associated. We also believe that schools offer the best medium for promoting community, and for building lasting friendships. When we moved to Westlake in 1977, our children were in the second and fourth grades. We lived on 130 acres at the southwest corner of Solana Boulevard (which, of course, did not exist then) and Davis Boulevard (then known as Precinct Line Road). Fidelity Investments now occupies the spot. The first school morning we took Paige and Brooke, our children, up to the front gate to catch their school bus. To our surprise, there were other children at our gate waiting for their buses. The children from Circle T Ranch, which adjoined our property on the north, caught the first bus and were transported about 14 miles west to the Northwest campus. The next bus picked up the kids from across the street and took them about 8 miles east to the Carroll campus. And the third bus turned around in our driveway and took our children 5 miles south to Florence Elementary in the Keller District. We realized then that Westlake could never become a great community without its own school. We determined to get a school for Westlake and set about to form a Municipal Independent School District, as allowed by a statute adopted in Texas about 1983, even though only one municipality ever succeeded. Our efforts failed when the Texas Legislature repealed that law at the urging of many school districts in Texas. From there, we waited. In 1994 I became mayor, and later discovered that charter school legislation recently adopted in Texas would, arguably, permit a municipality to apply for a charter. The Town applied and received the charter for WA despite fierce opposition from the Northwest and Keller Districts. The site for the school was chosen by the Board of Aldermen and the Town Manager and was purchased from Hillwood Properties. It was thought that this was the most prominent site available in Westlake for the school that we hoped would become the centerpiece of our community life. The Town interviewed three nationally prominent architecture firms for the assignment of designing the school. The Board chose a New York/San Francisco firm whose partner spent his entire presentation talking about design elements that enhance the learning environment (for example: studies show students learn better in natural rather than artificial light; hence the clerestory windows!) Coincidentally, this same firm designed Vaquero. The Board liked that look, so a similar "style" was adopted for the campus. One, overcoming political opposition from the three independent school districts serving the Town of Westlake. Two, overcoming the “Doubting Thomases.” The Fort Worth Star-Telegram reported that national educators had labeled our aspirations and plans as "naive" and predicted we would fail. Fortunately, the Board of Aldermen and the Town Manager doggedly and whole-heartedly pushed the project despite criticism from outside our community. Three, finding funding: The Town adopted a Comprehensive Development Plan that attracted Fidelity Investments, Daimler-Chrysler Finance and (ultimately) Deloitte University, joining Solana. Sales taxes emanating from their operations provided adequate funding to build the campus in addition to funding Town operations without a municipal property tax (until the Town later adopted a property tax). The name adopted should be self-evident, since the school is owned and operated by the Town of Westlake. Yes, a thousand times over. WA is the Town's greatest asset. While I am no longer involved in the leadership, I have been thrilled to see faculty, parents, students, community and Town leadership work together to provide all the tools needed by WA to fulfill its mission. Kudos to all! The fact that our tiny community obtained accreditation to offer all three IB programmes, in record time, thus providing a world class education in a public school setting for our residents and our neighbors. I believe the IB curriculum offers a new paradigm for public education, and Westlake is leading the way! 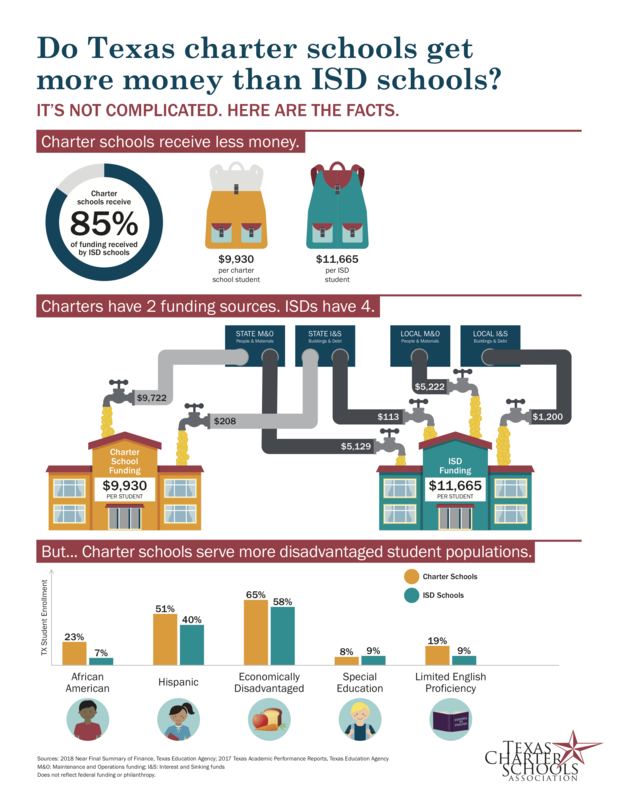 For more information on the growing trend of charter schools and why "different" is so much better, visit the Texas Charter Schools Association.